This has got to be hard for the folks living there to take. I was up on Weister Creek last Thursday and talked to an Amish farmer who's property is right along the creek. He mentioned that they were still dealing with damage from last year's flood. The washed out roadways on Hwy 131 near Ontario and Readstown are going to take some time to fix, which is going to just add to the misery. 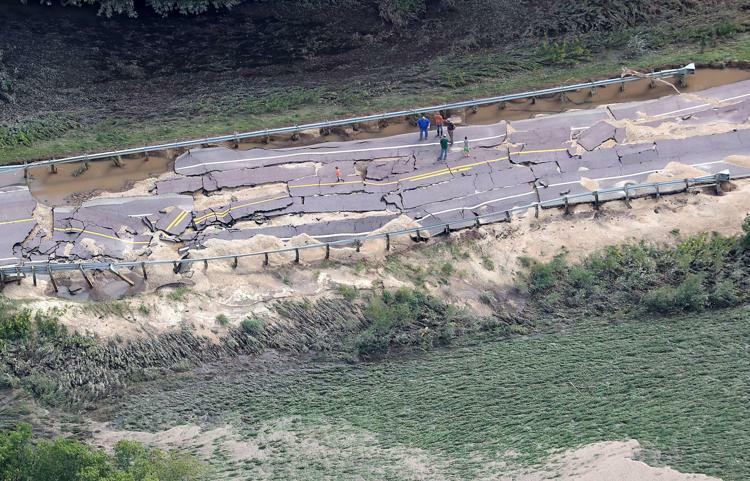 I can imagine a bunch of the area back roads and bridges may be damaged too. 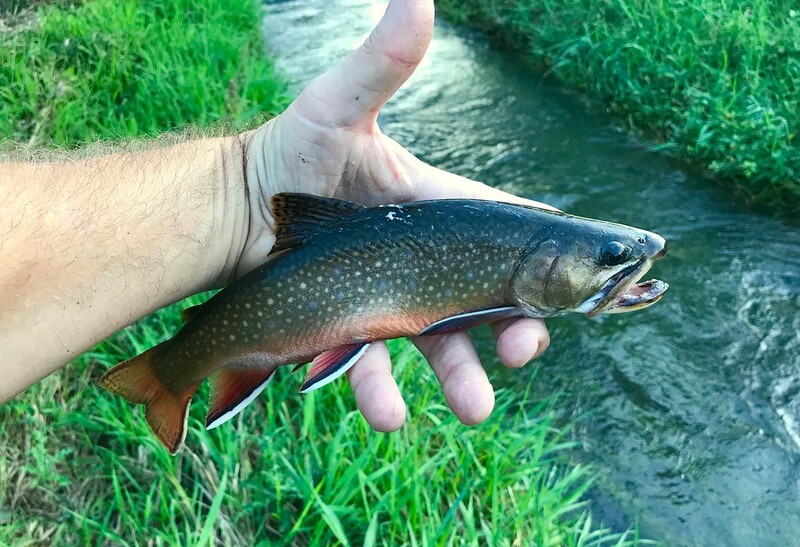 In spite of the 1-2 inches of rain that we got that ended around 5am, I decided to give a small stream a look around 7:30 this morning. Stream was higher than normal but not flooding and water only stained as opposed to silty. Probably 18 inches of vis. 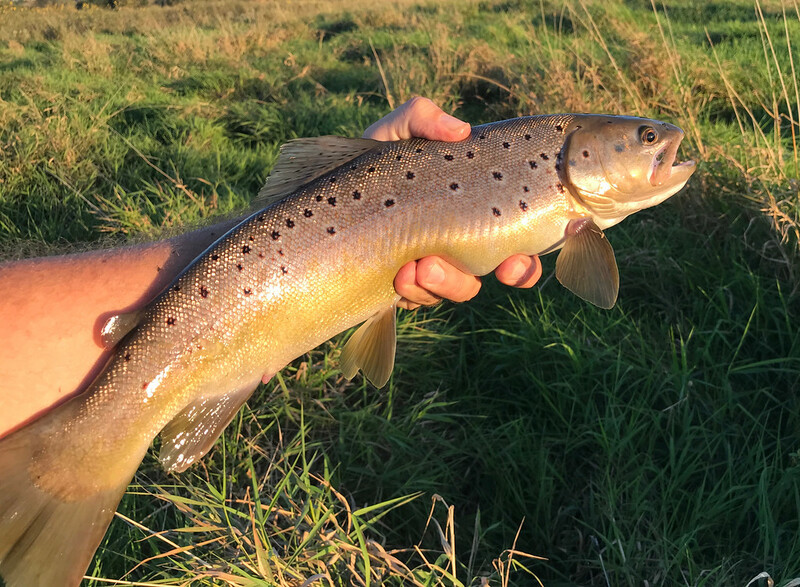 Got an average brown on my first cast and thought, "It's ON. Gonna be a huge day!" One of those happy times when it shouldn't be a good day coz... factors... but against the odds the fish go crazy. Ended up with only 5 browns including a 16, but had to work for them and around 9:30, they just shut off altogether. Still glad I went out and wonder if I should even bother tomorrow as we got a bit more rain. I'm stubborn. Guessing I'll be out there having a look. Here's one from today that also shows the stream. Nice looking angry Brown Gurth. I toyed with the idea of making the trip over the last two days. Things looked promising, only to have storms roll right through overnight where I wanted to go. Pretty frustrating, but it would be a total waste to drive all that way to find blown out streams. Now I wish I would've made the trip. Oh well. Maybe next week when the rain finally relents. The season is slipping away. Finally had 2 days in a row off. Was heading out to the driftless to visit Frank the Fish. Humidity is ridiculous and more rain predicted. Can't wait for the fall Steelhead run. Then winter fishing in the driftless. Also, thank you to the guys that shared a couple streams with me. I won't say who or what streams, but I am grateful. I would pm you, but I can't use that feature here. Leaving work in 30 minutes and gonna give it a go. I find I'm so excited, I can barely sit still or hold a thought in my head. Stan, we need to actually meet up for some steelhead this fall! On another note, I'm hoping to make a trip back out to the driftless this weekend. 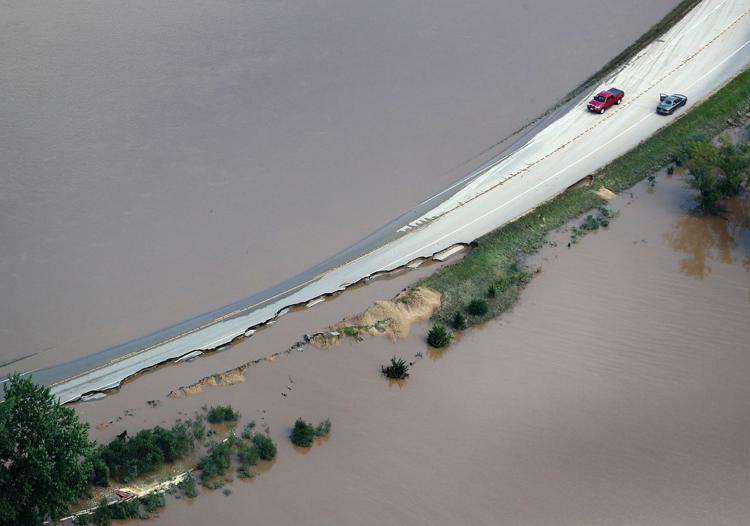 Anyone have some reports on water levels? 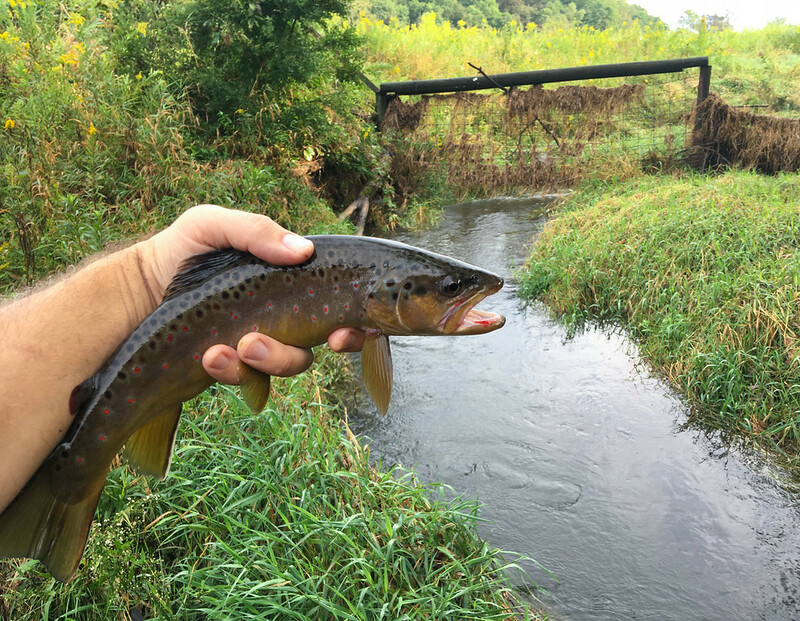 The Driftless Angler report sounds encouraging. Water that I saw between Madison and Dodgeville was still running quite high. An intermittent that is on my way to work was actually still running today also. I found water and did well, but I'm guessing that many of the (medium to large) streams in the area I was in would have been pretty tough to fish. Small stream I was on was almost over its banks but only stained. Got out tonight for a couple hours after work and that's likely it for me till next week as I have plans to float on Saturday with a buddy and if I go fishing again on Sunday... let's just say I could end up with unlimited fishing time. I chose poorly in terms of mosquito habitat. I was swarmed the entire time, even in full sun. Water was still running a bit high and stained. This one bit at my feet but I was ready after the couple big ones that I had lost in similar fashion recently and loosened the drag enough (after setting) so that she could run just a bit before the lift. Found some nettles - arm is tingly/burning and the thousand yard walk back to the road through soggy wetlands was... interesting. Once I got to the road, actually jogged/ran about a half mile in waders back to my van to get out of the mosquito cloud. The twin 18s made it worthwhile. Just barely though. Should have known better than to choose that stream right now. Breezy conditions yesterday emboldened me to take on the gnats and skeeters. Found fishable water despite the rain from the night before, but someone forgot to tell the fish. Had to cancel my weekend up north trip for the 3rd time in 6 weeks due to torrential rainfall up there. Hopefully the weather settles down now for a few weeks to closeout the season.